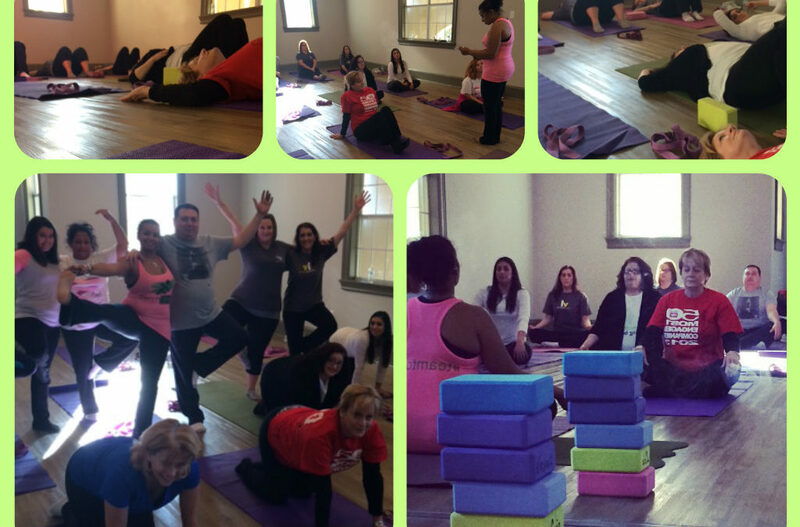 My Q4 Property Manager meeting was this past Thursday and I surprised them with a beginner level yoga/meditation class! My instructions were to bring a change of clothing suitable for working out. I hired Torch Fitness who is popular in the area for doing fitness classes for business employees and also for apartment communities. We utilized the TU yoga room which was perfect. The yoga instructor discussed stretches and exercises beneficial for loosening, relaxing, and de-stressing the muscles that get tight from sitting at a desk and working at a computer. I think everyone got something out of the hour long class – especially the 7 minutes of eyes closed relaxation/meditation at the end!